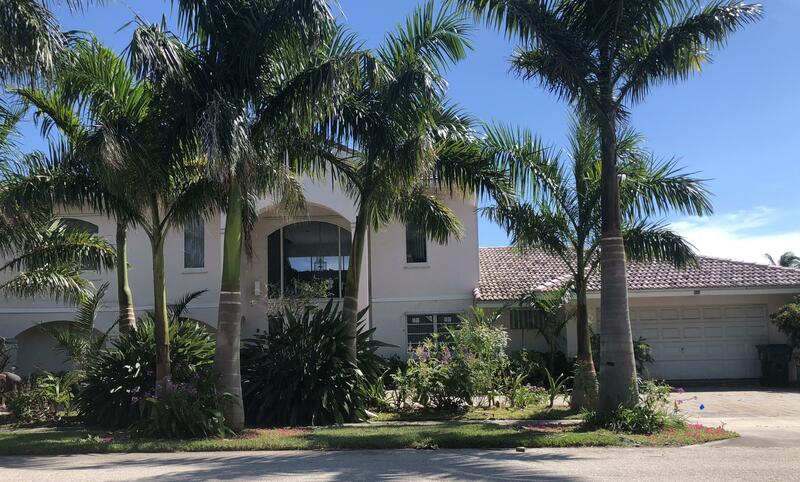 All TROPIC ISLE 4TH SEC homes currently listed for sale in Delray Beach as of 04/21/2019 are shown below. You can change the search criteria at any time by pressing the 'Change Search' button below. "Beautifully built 4 bedroom 4.5 bath has 102 ft of water frontage overlooking the large cove area of wide water, only 1 lot from the point lot. 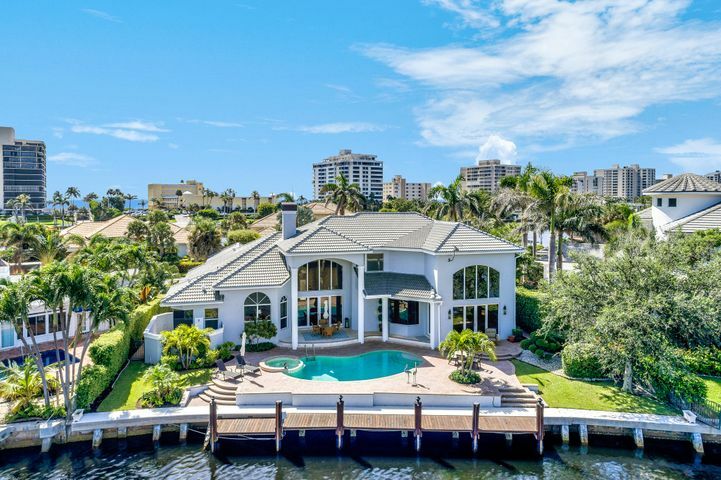 The floor to ceiling windows and soaring volume ceiling give this home tons of natural light and beautiful views of the waterway and the Tropic Isle Harbor. There's plenty of room on the private dock to keep your yacht with no fixed bridges to the ocean. The oversized lot allows for a nice sized grassy lawn as well as a resort style pool and spa. This custom crafted home features a wood burning fireplace, wet bar, marble floors, impact glass doors & windows and a whole house generator. The downstairs master suite has huge his and hers walk in closets with custom build outs and a large and tastefully appointed master bath with"
"EXCEPTIONAL RESIDENCE ON APPX 112 FEET OF DEEPWATER FRONTAGE, JUST OFF THE INTRACOASTAL,12K LB LIFT, SYNTHETIC/CONCRETE DOCK & FLOATING PADS. 5TH BEDROOM IS A CUSTOM OFFICE WITH ALL CHERRY WOOD BUILT-INS (NO CLOSET). GOURMET KITCHEN WITH VIKING COMMERCIAL STYLE GAS RANGE, SUB ZERO REFRIGERATOR, DOUBLE OVEN, GRANIT GAS FIREPLACE, 24 X 24 SATURNIA MARBLE FLOORS, COFFERED CEILINGS & EXTENSIVE USE OF CROWN MOLDING. UPSTAIRS FEATURES 3 BEDROOMS/2 BATHS. MINUTES TO BEACHES, RESTAURANTS & SHOPPING. COME TAKE A PEEK"
"DONT PASS THIS HOME UP! 4/3.5 WITH HUGE EXTRA MEDIA ROOM/EXERCISE ROOM/PLAY ROOM. DEEPWATER CANAL AND 35,000LB BOAT LIFT MAKE THIS A BOATERS DREAM. 90 FOOT OF WATERLINE! ARCHITECTURAL DETAIL ABOUNDS IN THIS HOME. PULL INTO THE CIRCULAR PAVER DRIVEWAY AND ENTER THROUGH THE ETCHED DOUBLE WOOD FRONT DOORS INTO THE VOLUME FOYER TO ENJOY ALL THE LUXURY THIS HOME HAS TO OFFER. NEWER ROOF AND BOTH A/C UNITS. WHOLE HOUSE GENERATOR REFURBISHED 2 YEARS AGO. THE OUTDOOR LIVING AREA ENJOYS POOL AND WATERFALL VIEWS AS WELL AS MAGNIFICENT LANDSCAPING AND LIGHTING. IMPACT WINDOWS AND DOORS MAKE THE SAFETY OF YOUR FAMILY A PRIORITY. LIVE THE TRUE FLORIDA LIFESTYLE IN THIS BOATERS DREAM HOUSE. RUN TO THIS ONE IT WONT LAST! $100 @ YR HOA! MOTIVATED SELLER. BRING ALL OFFERS!" "Awesome Deepwater Beauty in Walkers Cay. Deep Water Canal with Direct Access to the Ocean. Rebuilt in 1992 and added 2nd floor with 4 bedrooms plus first floor office, underground utilities, sidewalks, approximately 110 wide canal, 65 Ft seawall with batter pilings, 14,000 lb boat lift, Diamond Brite pool in 2016, 5 Ton A/C unit 2015, 3 Ton A/C unit 2016, Hurricane Panels, Central Vac System, new driveway and side entrance 2018. Best beaches, shopping, restaurants, brand new Ipic theater, great schools. Some of the fantastic offerings of the area include downtown Atlantic Avenue, Mizner Park, one of the Best Malls - Town Center Mall! Must see to believe! Survey and additional property details in Document section." "Deep water, ocean access, no fixed bridges newly renovated home 90' of canal frontage. 2018 NEW boat lift 17,000lb & composite dock. 110' wide deep water canal located in Walkers Cay. 3 bedroom, 3 full bath, plus loft. 2017 all bathrooms renovated. Granite tops/splashes, stainless appliances/refrigerated wine storage. Custom spiral staircase leading to enclosed loft with closet; optional 4th bedroom, den, office, playroom or workout room. 2 Master bedrooms. 3 AC split units, 2 water heaters. New 2018 impact glass 2nd floor windows. First floor windows hurrican according shutters. Cathedral ceilings w/ exposed beams, walk in closets, steam shower, spa shower, outdoor kitchen (refrigerater & built in kitchen aid gas grill), 2017 new deck and patio/pool area tile." 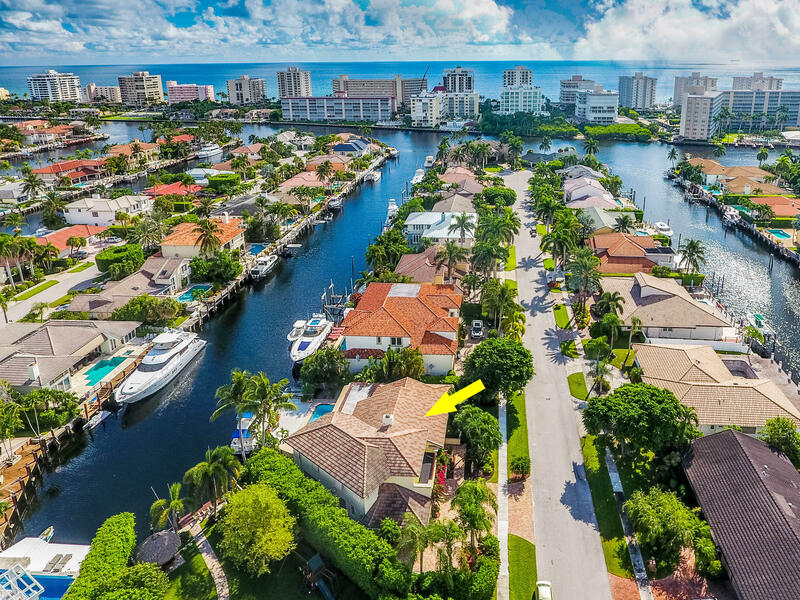 "BRING ALL OFFERS on this Rare Waterfront Opportunity with (1) Intracoastal views & no fixed bridges; (2) 2nd lot off the intracoastal point lot; (3) Full southern exposure for house & pool; (4) 100' water frontage with ability to turn a yacht in the 120' wide canal - 80' canal can only turn 60' boat; (5) Piling foundation House and pool; (6) Expand the interior to the perimeter of the walls to approx. 4500 sf; (7) all priced at land value.RENOVATE OR BUILD YOUR DREAM HOME on this stunning property in exclusive Walkers Cay, a neighborhood with multi-million dollar homes.Dock your yacht at a recently rebuilt multi-level 70 ft dock, with marine 240 V power on a separate circuit & water connections. 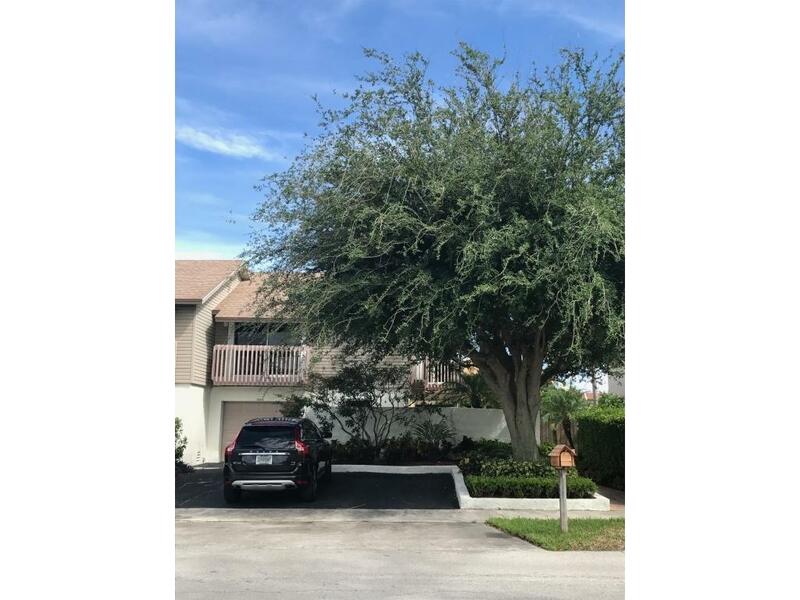 The entire Spacious 2 story, open floor plan home with soaring windows is on pilings"
"Spacious and bright townhome in a perfect location. 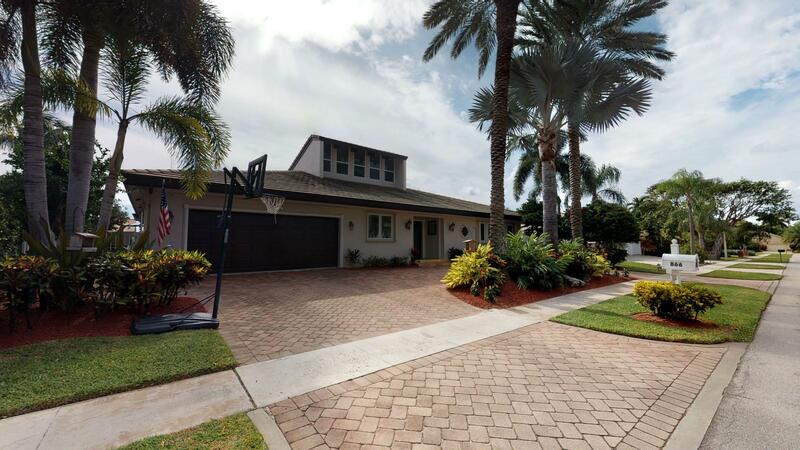 Minutes to the beach and downtown Delray, and located in A rated school districts. This well maintained property is beautifully landscaped with a fenced in backyard and 2 private patios. Open floor plan with functioning fireplace. Large kitchen with granite countertops and newer appliances makes entertaining easy. Sliding glass doors throughout offer abundant light. Custom window and door treatments included. One bedroom is set up as a master closet, but can easily be converted back to a 3rd bedroom. No HOA."